Culture Secretary Tessa Jowell has said the BBC's independence will not be affected by the Iraq weapons row. 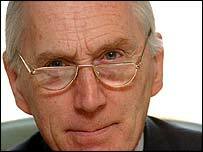 And Ms Jowell warned in a statement against the corporation "inflaming" the situation in the run-up to Lord Hutton's inquiry into the death of weapons expert Dr David Kelly. BBC chairman Gavyn Davies, writing in the Sunday Telegraph, said any moves to bring the corporation under an external regulator threatened its independence. Ms Jowell said there was no question of the licence fee or BBC charter being affected, but made no mention of calls for the corporation to be regulated by the new watchdog Ofcom rather than its own board of governors. Her statement said: "There is no question whatever of the dispute with the BBC over Mr Gilligan's claim affecting in any shape or form the BBC's licence fee or its charter. "We have made it plain throughout that we will uphold completely the independence of the BBC. This has been stated time and again. "The charter review that was due in the normal way will be conducted in the normal way without any reference whatever to recent events. 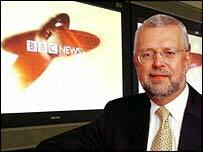 "We entirely reject the BBC chairman's attempt to confuse our desire to correct the original story by Mr Gilligan, with an attack on the BBC's independence. "We suggest the BBC should now allow the Hutton inquiry to take its course without further inflaming this issue." In response to Ms Jowell's statement, a BBC spokesperson said: "The BBC welcomes the secretary of state's on-the-record clarification that the charter review process will be unaffected by events over the last few weeks. "We also welcome her statement that the government has no intention or interest in undermining the independence of the BBC." Mr Davies believes some ministers want to punish the BBC for refusing to back down in its row with the government over the use of intelligence to make the case for war. His comments come as Lord Hutton prepares to chair the inquiry into the apparent suicide of Dr Kelly. After his death, Dr Kelly was named by the BBC as the main source for a story on 29 May by reporter Andrew Gilligan, which caused fury in Downing Street. Mr Davies repeated his confidence in the story, which quoted concerns by a senior official involved in producing the dossier that the government had "sexed up" the threat posed by Iraq. The BBC chairman said he had been angered at threats from "government sources" to reduce BBC funding, remove its director-general Greg Dyke and change its charter. He said: "Our integrity is under attack and we are chastised for taking a different view on editorial matters from that of the government and its supporters. "Because we have had the temerity to do this, it is hinted that a system that has protected the BBC for 80 years should be swept away and replaced by an external regulator that will 'bring the BBC to heel'." Leader of the Commons Peter Hain has also criticised the BBC, accusing the corporation of acting like a tabloid newspaper over the Iraq dossier story. "Instead of following the agenda, the media are increasingly setting it," he wrote in the Independent on Sunday. The Observer reports Dr Kelly had also shared concerns about the Iraq dossier with other members of his Bahai faith - a religious sect which promotes global harmony. And the Mail on Sunday says the scientist's wife has kept a full record of her husband's final hours, including an "explosive" account of his treatment by the government. Dr Kelly was found dead last Friday in a wood near to his Oxfordshire home. The inquiry's preliminary hearings begin next week at the Royal Courts of Justice in London. "The relationship looks closer to a state of Cold War"